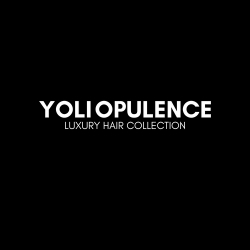 Yoli Opulence, one of the leading beauty brands specializing in premium hair extensions, lace wigs and mink lashes in the United States, Canada & Europe, announced today the grand opening of their first wig boutique in Buckhead (Atlanta), GA.
Atlanta, GA, March 02, 2019 --(PR.com)-- Yoli Opulence, one of the leading beauty brands specializing in premium hair extensions, lace wigs and mink lashes in the United States, Canada & Europe, announced today the grand opening of their first wig boutique in Atlanta, GA. Featuring a quaint and modern boutique layout, the new location will offer Custom Lace Wig Services and Ready-to-Wear Lace wigs from Yoli Opulence’s Brazilian and Raw Indian hair collections. The Buckhead boutique will be located at 175 West Wieuca Road NE, Suite 210, Atlanta, GA 30342 and open 4 days a week. The hours of operation are Wednesday – Friday 12noon – 6pm, Saturday 12noon – 3pm. For more information, visit: www.yoliopulence.com.